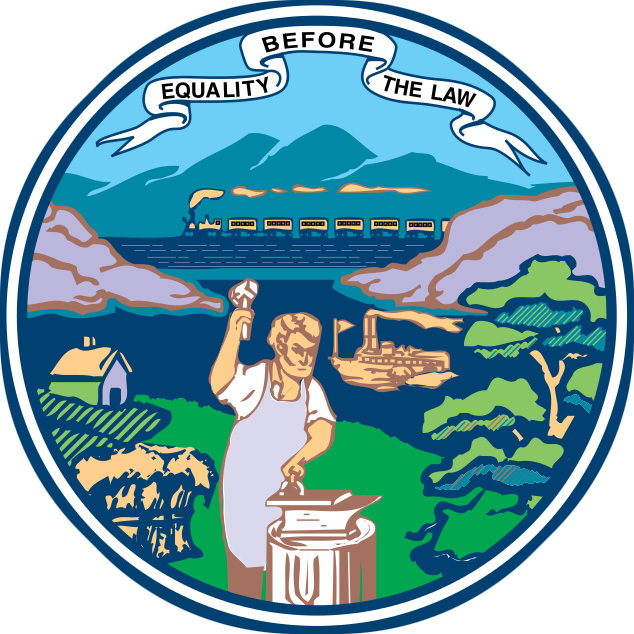 Center design of Nebraska's seal with state motto: Equality Before the Law (public domain image on Wikipedia). The official state motto of Nebraska is "Equality before the law." 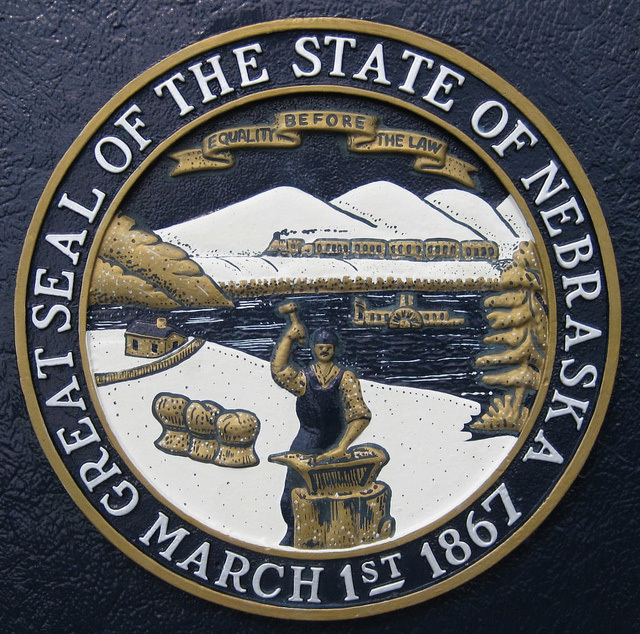 The state motto appears on the state flag and the great seal of Nebraska. 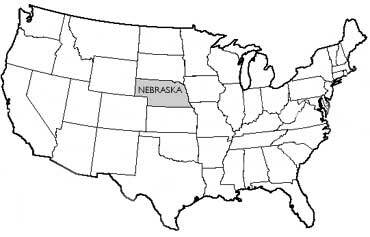 The state of Nebraska USA (public domain image).